Fake A WiFi Connection On Your Android And Play Multiplayer Games That Requires Only WiFi Connection. This is going to be a short but precise one. You see, some Multiplayer Games allows you to connect and battle with opponents online only when you're connected to a WiFi network. If you're a fan of Gameloft HD games.. Like Asphalt 8, Modern combat, 6 guns etc. You'll experience that you can't play multiplayer online unless you're connected to a WiFi network. But what if you have a fast 3G network but you don't have WiFi around and you want to contest with your friends through your game Multiplayer that restricts you to WiFi only? I believe your phone is android, because this tutoring is for Android users only. 2. Download Xpose installer And Fake WiFi Connection From Here »» and Here»» respectively. 3. After Downloading, launch your Xpose installer, Click framework, Click update/install to update the app. 4. After your phone reboots, install Fake WiFi connection and exit. 5. Launch your xposed installer, goto modules, and Tick the Fake WiFi connection Box. 6. Launch your fake WiFi connection, Tick the Game/app you want to fake WiFi then exit and reboot your phone. 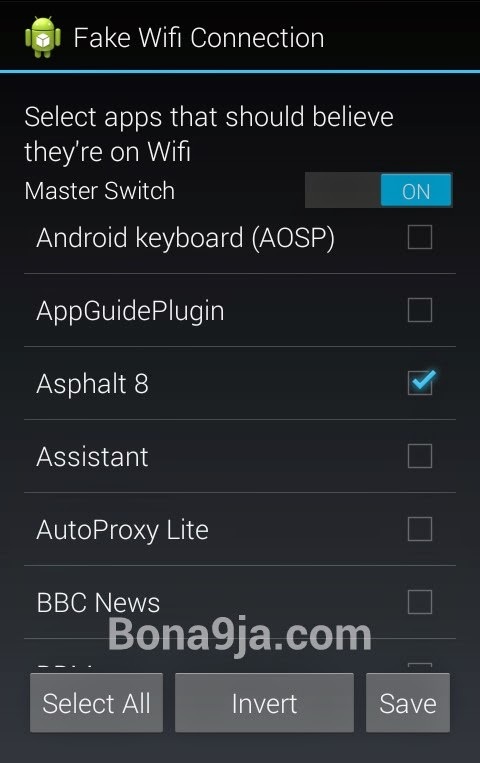 After Following the steps correctly, you should be able to play Multiplayer games that restricts you to WiFi only with your normal Data connection.